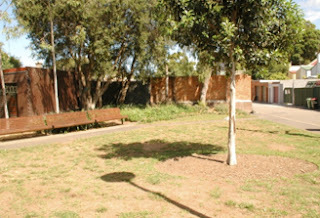 The James Street Reserve Community Garden was established in 2010 on a neglected piece of public land in Redfern, Sydney. 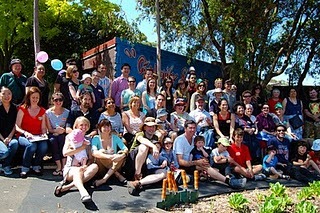 In the years since, with the backing of the City of Sydney and local businesses, its volunteer members have created an attractive and productive garden with a focus on sustainable and organic practices. 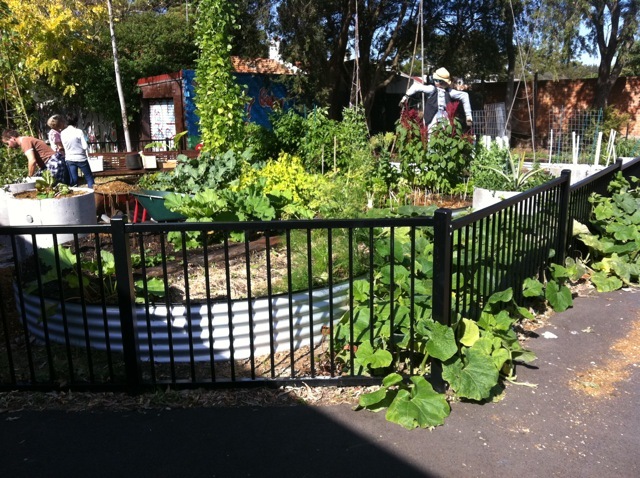 The James Street Reserve Community Garden Incorporated (JSRCGI) aims to create and maintain a community garden within the James Street Reserve at Redfern, New South Wales, Australia. The garden should be a space which is ever evolving, attractive, safe and welcoming. Such a garden should encourage community spirit, facilitate learning and information exchange and act as a role model. Garden Design: Circular raised beds. To see the garden design click here. 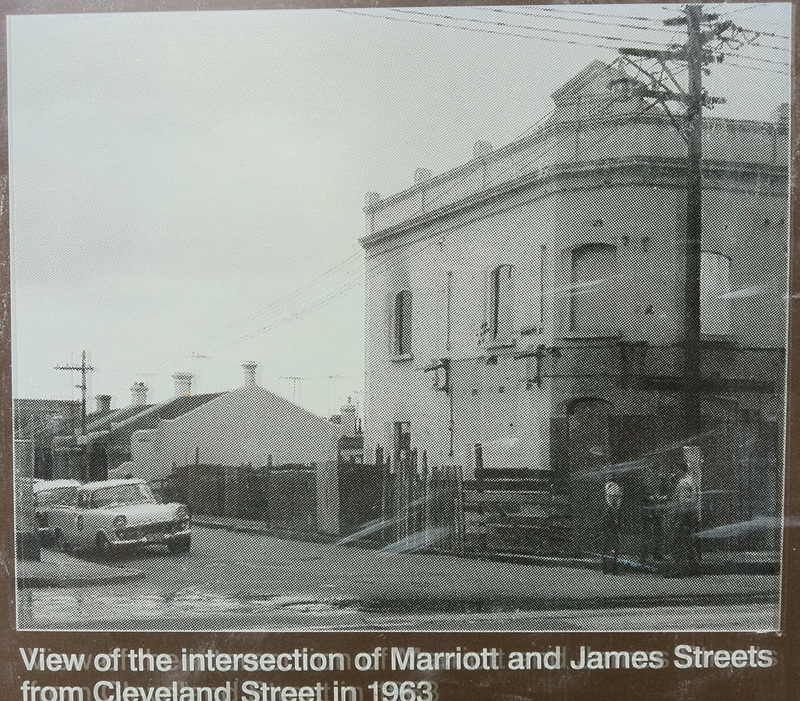 In 1822 the British colonial government granted 185 acres of land, including the area James Street Reserve stands on, to Edward Smith Hall. The grant was subdivided in 1831 and bought by John Baptist as part of his nursery. By 1890 Wunderlich pressed metal ceilings were manufactured here and were installed in suburb houses, business premises and the Sydney Town Halls Centennial Hall. Wundderlicht produced a wide range of other metal goods including kitchen sinks. 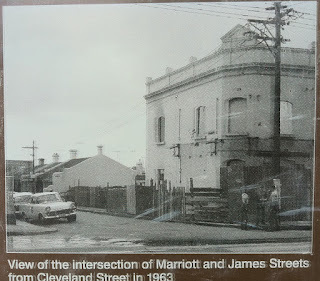 The Wunderlich factory closed in 1972 and was demolished in 1980 for the construction of Redfern Mall shopping center. The centre's name was changed to Surry Hills Shopping Village in 1988. 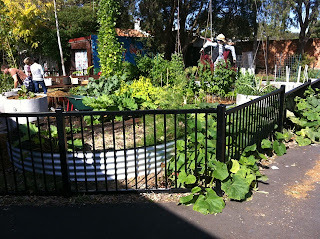 Click here for a full overview of James Street Reserve Community Garden. Visit Member Information for more details on membership. Then email us jsrcommunitygarden@gmail.com if you are interest in becoming a member.